ICC, supported by the World Trade Organization (WTO), the Organisation for Economic Co-operation and Development (OECD) and regional development banks, have announced a new initiative to host a global consultation to support multilateral trade reform. Launched today in Bali, Indonesia by ICC Secretary General John W.H. 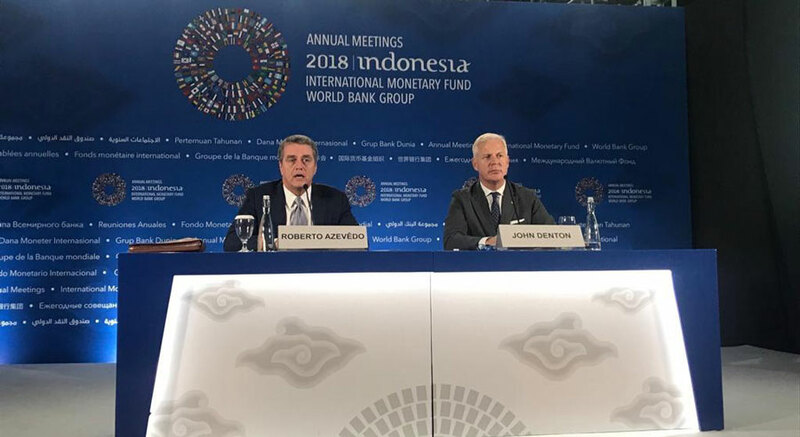 Denton AO and WTO Director General Roberto Azevedo, the new Global Dialogue on Trade platform will provide concrete support to the on-going intergovernmental approach to improving the multilateral rules-based trade system. The initiative – digitally enabled and managed by ICC – will convene open dialogue among multilateral institutions, think tanks and businesses from around the world. Following an initial call for debate themes, the platform will seek input from users to assess elements in the existing framework that work well, elements that should be improved and what should be addressed to help the WTO effectively deal with the challenges and disruptions of the 21st century. More than 100 businesses – representing a diverse range of sectors and geographies – along with a wide range of think tanks have been invited to join the platform. 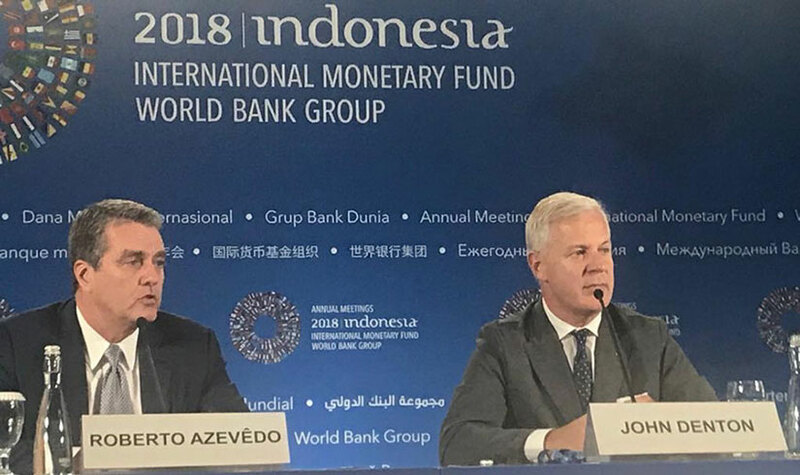 The Global Dialogue on Trade was launched at a press conference on the sidelines of the 2018 Annual Meetings of the International Monetary Fund and World Bank Group taking place in Bali.